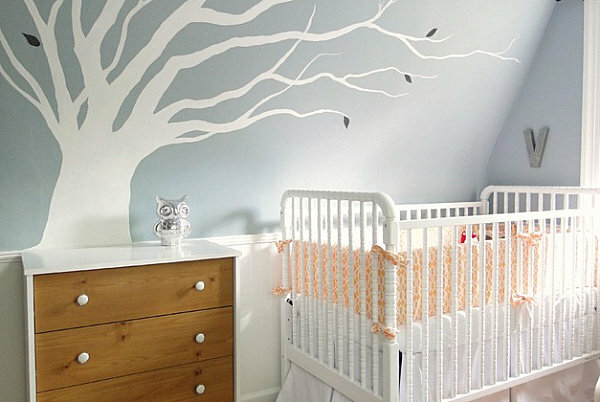 Decorating a small nursery can seem like a huge challenge, especially when you’re preparing for a baby in so many other ways. 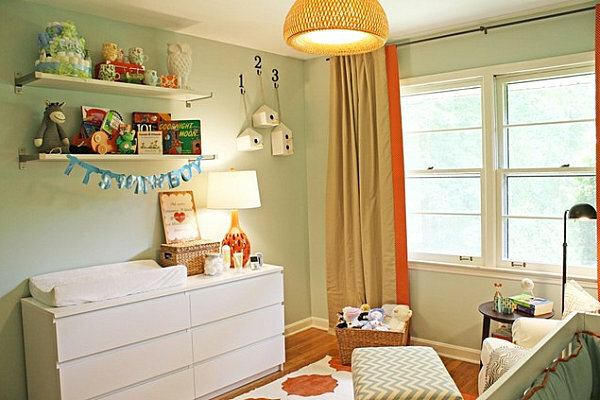 How will you get everything you need into a space that is compact? 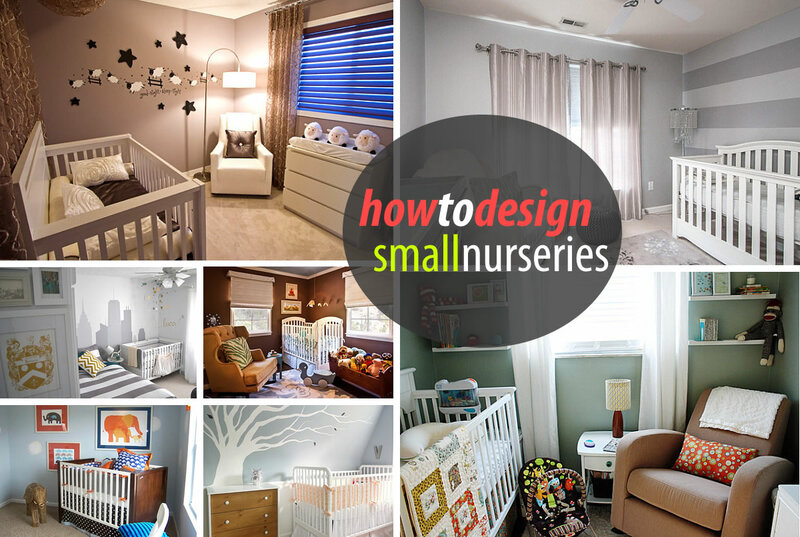 Believe it or not, dealing with small space issues isn’t as difficult as you might think, especially in the nursery realm. Why not? 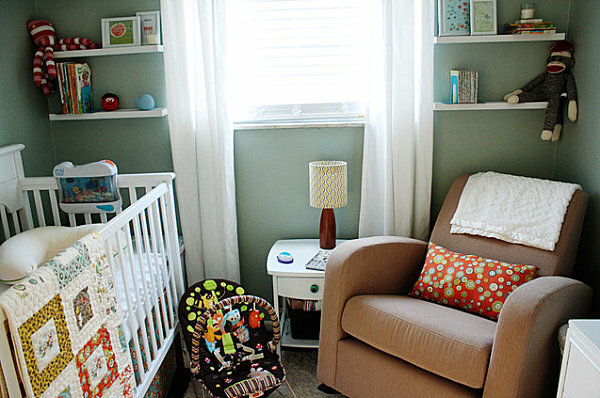 Because in many cases, all you really need is a crib, a changing table/dresser and a comfy chair, at least when it comes to substantial pieces. 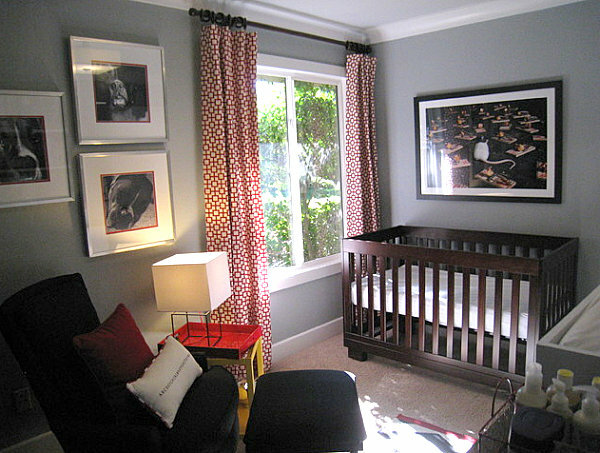 Below we showcase a series of small nurseries that prove it is possible to maximize your space. All it takes is a few strategic purchases and a little creativity. 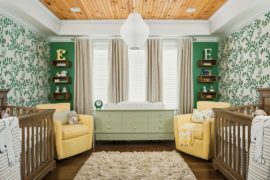 In addition to the helpful decorating hints below, check out the other design details of each room. 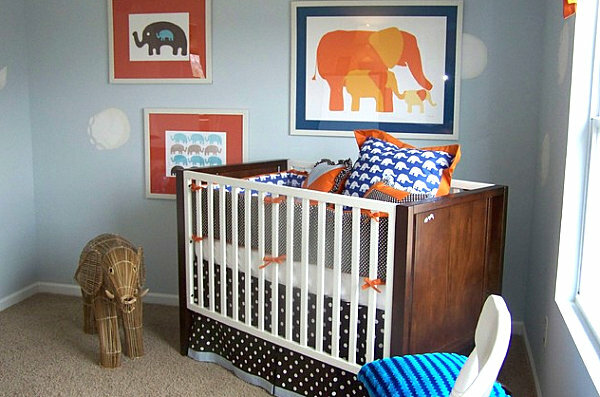 Maybe an item or a motif will inspire you in your nursery decorating endeavors. Enjoy! 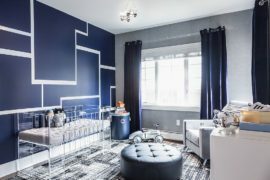 We now take a look at eclectic spaces that cleverly blend an array of design styles. 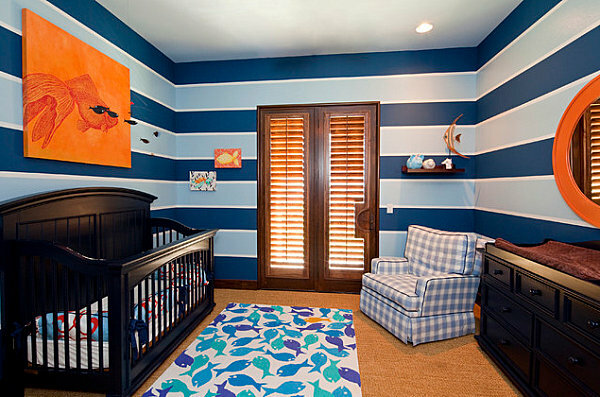 This nursery by Elizabeth Gordon Studio integrates elements of modern and traditional design. 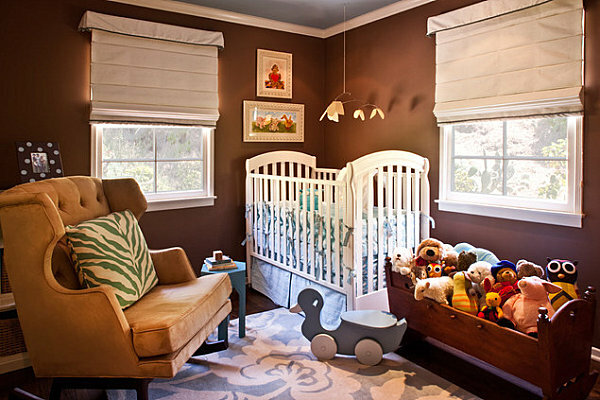 Another helpful feature: a crib-like container for holding stuffed animals. 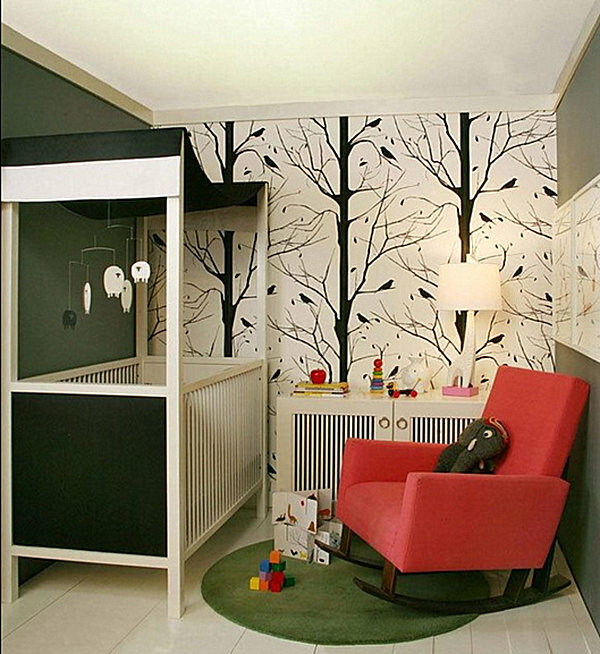 In fact, this detail reminds us to make the most of your wall space, even the space under the windows. This gorgeous space combines vintage and modern design. 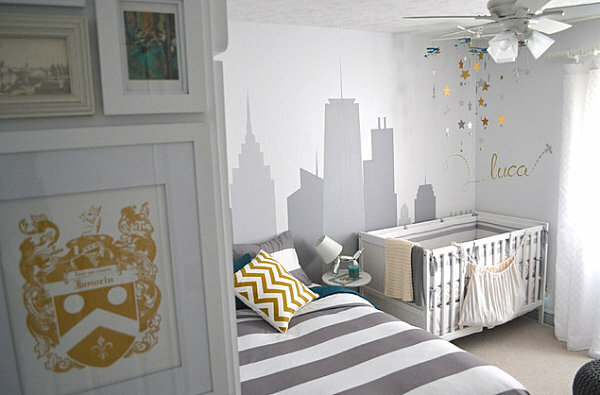 In addition to the eye-catching mural, we’re loving the way minimal decor creates a clean, uncluttered look. At the same time, there are more details to the room than meet the eye. 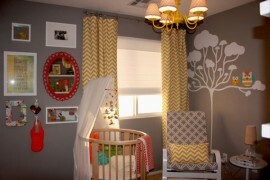 For the full DIY makeover and additional views and photos, check out A Lovely Lark. Don’t forget to take your cues from the space. 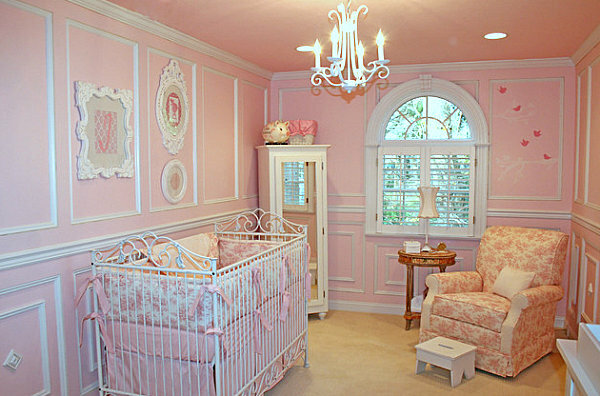 In this toile nursery from Jack and Jill Interiors, an abundance of decorative molding made certain desired decorative touches (such as expansive decals) impossible. 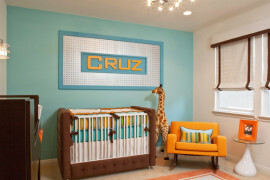 But the designer found clever ways to incorporate artistic accents while playing up the charming qualities of the room. 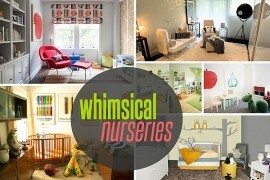 For more details on the decor of this nursery, check out Houzz.